On Tuesday, February 9, 2016, the first group of Iraqi Air Force pilots completed their training on the L-159 aircraft as part of a contract between AERO Vodochody AEROSPACE a.s. and the Iraqi Ministry of Defence. The graduation ceremony for the first fully-qualified L-159 pilots took place in Vodochody and was attended by Deputy Commander of the Air Force of the Republic of Iraq Lt Gen Faris Hassan Al Zireg Falah, Commander of the Iraqi Air Force Operations Centre Brig Gen Abdulwahab Hussein Hussein Lutfe, Deputy Chief of the Training Department for the Iraqi Air Force Brig Gen Ali Abdullah Al Lami Abdulkareem, His Excellency the Ambassador of the Republic of Iraq in the Czech Republic Mr Walid Hamed Shiltagh, Minister of Defense of the Czech Republic Mr Martin Stropnický, Commander of the Czech Air Force Brig Gen Libor Štefánik, representatives of Aero, and a number of invited guests. The celebratory moment was preceded by a presentation on the company’s capabilities and an introduction to the L-159 family of aircraft. Aero signed the contract with the Iraqi Ministry of Defence for the delivery of L-159 aircraft in 2014 after several years of negotiations. 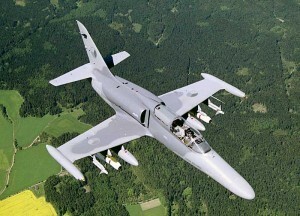 Aero made the first delivery at the end of last year; the company will deliver a total of ten single-seat L-159A and two two-seat L-159T1 aircraft. The contract with the Iraqi Ministry of Defence represents a significant stage in the life of the L-159 aircraft as it moves into active deployment with its second military user.